CleanWell hand sanitizers are made with a patented formulation of essential plant oils lab proven to kill 99.99% of the harmful germs that can make you sick. CleanWell is all-natural and alcohol-free. The ingredients in CleanWell are safe for kids, non-toxic, and come from rapidly renewable resources that grow abundantly worldwide. 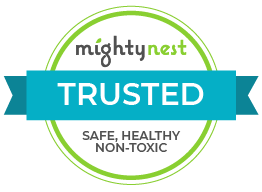 Naturally antibacterial, alcohol-free, no hard or toxic chemicals, safe for kids, easy-to-use spray, leaves hands soft, gentle on sensitive skin, never tested on animals, fresh pleasant scent.